Importing or exporting goods to different countries in the Middle East is a little complicated and many traders need expert’s guidance. For export to Iran, companies must know about Iran customs regulation, standards and required documents. For instance, Based on Iran customs rules some goods are not allowed to import to Iran, for example alcoholic drinks like wine and etc. Based on Iranian customs data analysis, it can be said that most of the imports in this period were from China. In other words 14% of the volume and 24% of the dollar value of Iran imports in this period belongs to China. These numbers perfectly can illustrate the importance and magnitude the imports of Iran . There are many transportation methods for importing and exporting goods to different countries. Freight forwarding companies, ship to Iran through sea, air and land routes. When the goods pass the border must go to Iran Customs, Iranian customs brokers or Iranian customs clearance agents will handle the custom clearance procedures in Iran. Imam Khomeini Airport Custom – IKA Custom is one of the biggest and the most important Iranian airport customs. Iran has many customs in lots of different cities. 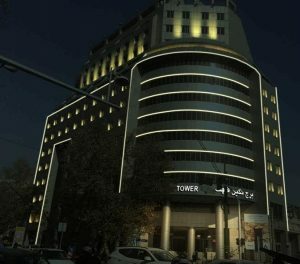 Some of important Iranian customs office located in Tehran such as: Imam Khomeini International Airport Customs (the most important Iranian airport custom ), and Shahriyar Custom ( Tehran custom ). Other than Tehran customs there is one big custom in south of Iran which is Bandar Abbas Custom , the most important port in Iran. 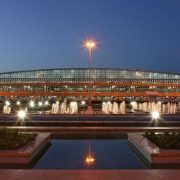 Imam Khomeini International Airport (IKA) Custom is located in Tehran-Qom highway in south of Tehran. And Shahriar Custom and West Custom is located in old road of Karaj in west of Tehran. Tehran doesn’t have any sea border, therefor all the goods will transport to Tehran by cargo air crafts or trucks. It should be noted that there are important sea ports in south and north of Iran, such as Bandar Abbas or BND Custom ,Bandar Imam Khomeini Custom or Bandar Anzali Custom. As it mentioned before, Imam Khomeini International Airport in Tehran dedicated to goods coming to custom through the air. This Custom is the biggest and the most important air cargo custom in Iran. IKA Custom area is 27 thousand and 856 square meters and can accept more than thirty thousand tons of cargoes. It has very well equipped and diverse warehouses with safe and modern shelving and appropriate ceiling height. The customs equipped with a reefer warehouse with the capacity of 66 tons and different degree sensitivity. Therefore, owners of perishable goods reliably and safely can send their goods into the Imam Customs. 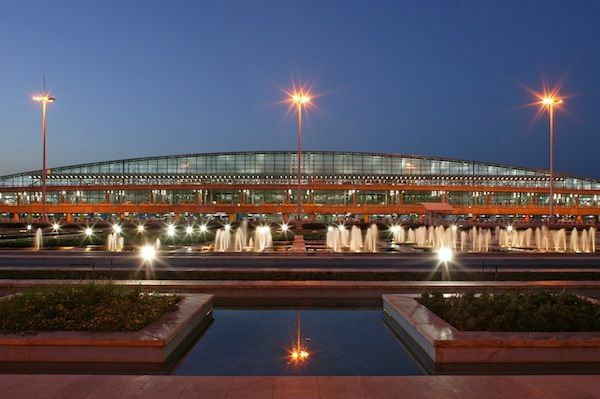 According to the official statistics obtained from the Iran Customs , eight percent of Iran’s total import in 2014 was carried out from Imam Khomeini International Airport and in 2015 increased to 11.5 percent. Also according to statistics provided by the Iran Customs data in half of 2016, volume of import and Iran custom clearance from Imam Khomeini Airport Custom was more than a million tones which equivalent to more than a billion dollars. This custom is very close to Tehran and transit routes works 24 hours a day. Custom activities such as: clearance for home use, temporary admission, re-importation, importation, and etc takes place in IKA custom. Iranian customs clearance is a professional activity and expert Iranian customs brokers of Kara Company – custom broker Iran – are doing the clearance activities and customs procedures for various kinds of goods in this custom. 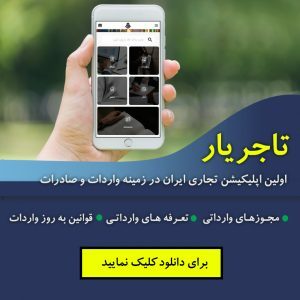 Kara Company as an Iranian customs clearance company introduces you the Iranian customs portal and Iranian customs organization. Therefore you can achieve lots of information about Iranian customs clearance and Iran customs regulations. Bandar Abbas is one of the most important customs in Iran. This port has been the place of export and import of goods from long time ago and now it has this important commercial position. Most of ship to Iran from different countries arrives at this BND port and deliver cargoes to Bandar Abbas customs. The Bandar Abbas customs includes two main customs and shipment owners need Iranian customs broker agency for both Shahid rajaee Customs clearance and Shahid Bahonar Customs clearance. 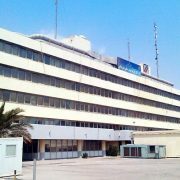 Kara co is an Iranian Customs clearance agency at Bandar Abbas. Kara Company as an Iranian customs consultant and Iranian customs clearance agency perform customs clearance procedures, and clear the imported goods from the customs as soon as possible especially customs clearance at Bandar Abbas. Customs clearance for perishable goods at Bandar Abbas should be carried out in the shortest possible time, Because the warm and humid weather conditions in this area can cause a lot of damage to the goods and will have a high maintenance cost for refrigerated containers. Therefore, having a qualified and experienced Iranian customs broker such as Kara Company can accelerate the process of customs formalities. Shahid Rajaee custom and Shahid Bahonar custom are two active and full-time customs in Bandar Abbas, which due to their specific status; they have made this port a special economic zone of Iran. These two Iranian customs work under the supervision of the customs of Iran and base in Iranian custom law, they carry out activities such as transit, export and import, product evaluation, inspection and clearance. Shahid Rajaee which known as one of the most important Iranian customs administration is located in Hormozgan province in southern Iran and 23 kilometers from Bandar Abbas city. This port with an area of 2,400 hectares is one of the most important gateways for exporting and importing goods, especially liquid and dry bulk commodities, steel products and petroleum products. This port is one of the largest ports of the Iranian customs and trade and has the annual import and export capacity more than 70 million tons of goods. Shahid Rajaee Port work with more than 80 major ports in the world by 35 container lines and plays an important role in the international maritime transport industry. One of the main reasons that caused this port to be the most important gateway and origin of goods export and import to Iran is its geographical location and its proximity to the Persian Gulf crater and the Strait of Hormuz. 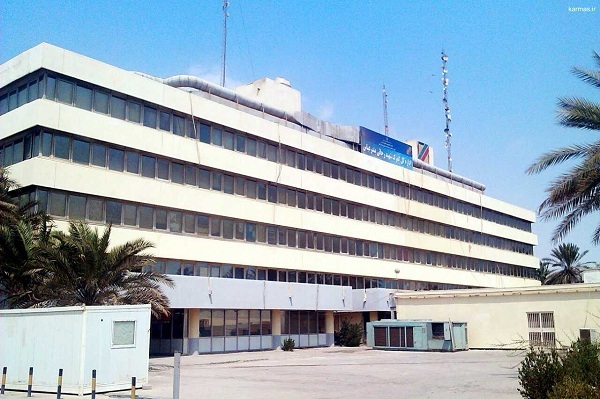 According to statistics and data obtained in the spring of 2015, more than two million tons of goods, equivalent to 25% of the total imported goods to Iran, have been cleared at Shahid Rajaee. This amount equals more than $ 3 billion, or 35% of the Iran total imports. These statistics show the importance and uniqueness of this custom. The other Iranian custom that located in Bandar Abbas is Shahid Bahonar Custom. The Shahid Bahonar is located 1501 kilometers from Tehran province. The port is equipped with 12 jetty posts with a variety of applications and a capacity for accepting 125 thousand tons of export and import of goods. The warehouse area of Bahonar port is 27,000 square meters and its warehouse is 24,000 square meters. This port is one of the oldest and most active ports in the country, and based on Iranian Customs data its annual activity in the past was reaching about 8 million tons. This Iranian custom is the third port of export for the transportation of non-oil and non-passenger goods in the country. Based on Iran custom data in year the 2015, 24 million tons of goods worth more than 111 million dollars have been imported into this port. Customs clearance in Iran and also customs clearance at Bandar Abbas needs lots of experience and information about Iran Custom rules. Iran customs regulations, has its own intricacy, therefore if anybody tends to export goods from Iran or import goods to Iran should first consult with an Iranian business consultant such as Kara Company. Iran is a very active country in importing and exporting goods there for you can find Iran customs offices in almost every city in Iran. Anzali Custom is one of the important and active customs of Iran in the north of the country on the southern margin of the Caspian Sea. Kara co is Custom clearance at Bandar Anzali . This Iranian custom is important because of its geographical location and its proximity to important ports of Russia, Turkmenistan and Azerbaijan. Anzali Port Custom is more specific to bulk commodities. According to the official statistics obtained from the Iranian customs website, during the first half of the year 2016, more than 115 million tons of goods were imported to the Anzali custom, which is equivalent to more than 760 million dollars. This amount of goods was discharged in Anzali port by Iranian customs clearance agents such as Kara Company. This volume of imported goods to the Anzali port has caused the third place (in term of import volume) among the customs of Iran during this period of time. In other words, nine percent of the import volume and Iran custom clearance has taken place from Anzali port. One of the most important advantages of the Anzali custom, which should be mentioned, is its 35 km distance to the international airport and land access to other provinces of the country. 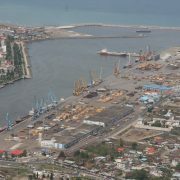 This port is also very close to the largest Caspian oil and gas reserves, which is a special privilege for it. Kara Company, operates in this port under the Iran customs law, and has full control over the procedure of customs clearance in Iran. As a result, they can clear the goods from Anzali custom at the possible shortest time. The area of Anzali port is 14,200 square meters and is equipped with warehouse for bulk and cereals, Hangar’s warehouse for General Cargo, TEU Container Warehouse and open warehouse for general cargo, with a total area of 22,151 square meters. The Anzali Port has 10 wharfs at a depth of 5.5 meters, designed for various uses such as iron, container, wood, oil and services. 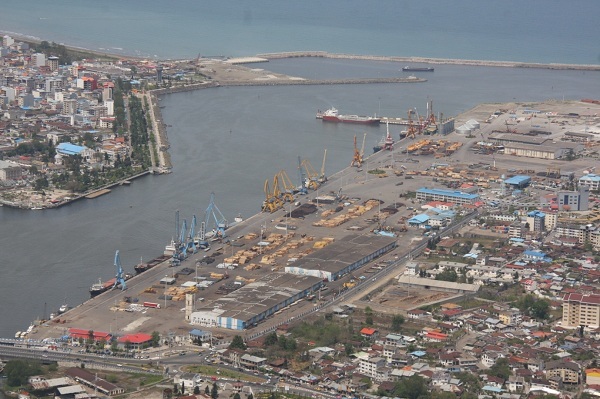 As stated, the close proximity of Anzali customs to Russian ports has caused the largest import of goods from Russia to the Anzali port of. According to the statistics provided by the Iran customs administration in the first half of 2016, the most import and custom clearance Iran goods in Anzali custom were from Russia, with 39% of imports (volumes) tantamount for 63% of the dollar value of imports. It is interesting to note that after Russia, the largest amount of imports to Anzali were from the UAE, approximately 19% of import volume and discharge at the Anzali port from UAE, which is equivalent to 35% in dollar terms. Kara – Iranian customs Clearance – Company is professionally licensed in custom clearance at Bandar Anzali and by its expert team; they finalize Iran customs clearance procedures. Since the customs clearance business is a professional specialty, it is recommended that international merchants and manufacturing and trading companies to issue their customs clearance to the Kara Company and its’ Iranian customs brokers in order to make the import and clearance process efficiently. Also, with Iranian customs consultants that experts of Kara Company offers in the field of import and export, merchants can do their business with more assurance.